I know some teachers that just love to theme their classrooms and right now everything is leaves, pumpkins, scarecrows, and apples. Why not take it a step further and theme some online activities, too? Here is a collection of some (mostly) educational games that are themed for fall from my Interactives web site. Have your students build a character with Leaf Creatures or Scarecow Creator by Highlites and then screen shot the finished picture into your favorite writing software or app for some creative writing. Or you can even print the pictures and paste them on good ol' writing paper! 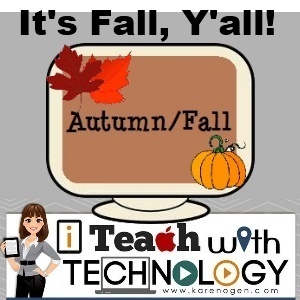 Practice some math facts online and then have your students write their own fall themed math problems and share with a partner in class for more practice. This game is waayyy too easy! Maybe your students can write their spelling or vocabulary words on leaf cutouts and a picture or definition on another and make their own matching game. Zoom In! advertises that it is "empowering students to think deeply and write critically about pivotal moments in US history." 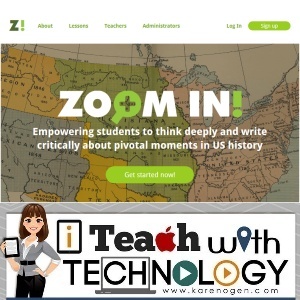 Created by the Bill and Melinda Gates Foundation, this newly released site is a free tool to help middle and high school students learn US history while focusing on literacy skills. Teachers can choose from 18 units that include a variety of embedded resources and activities that engage students in writing about and discussing historical events that are presented through primary documents, images, and multimedia. Students must take a stance on important historical issues and back up their arguments with evidence. Zoom In and take a look! What does coding have to do with learning the core subjects? I am often asked that by parents, administrators, and teachers. Well, coding is critical thinking, problem solving, logic, perseverance, collaboration, sequencing, patterns, variables, loops, experimentation, analysis, grit, and more. Aren't these skills we need our students to have to be successful in our core subjects? 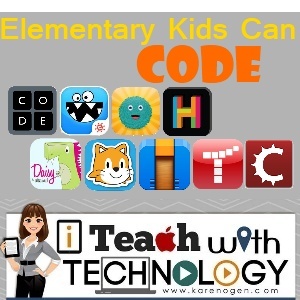 There are so many great apps and web based sites available for students as young as 5 to start leaning the logic of code. Here are my favorite FREE resources. 1. Code.org: Students ages 4-18 can learn to code with fun activities created by the staff from Google, Microsoft, Facebook, and Twitter. Kids favorite characters such as Anna from Frozen and the Angry Birds are featured to make the coding activities fun and relevant. 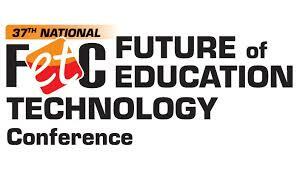 Students can complete entire 20 hour leveled courses or do shorter activities. 2. The Foos App: Kids help the Foos characters through adventures and problems by coding. There are 40 levels to solve and each Foos character has a unique story to keep the fun going. 3. Kodable App: The Fuzzes have crashed on a maze covered planet and need you to program them to explore all of the mazes. 4. 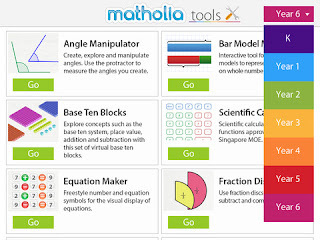 Hopscotch App: Students simply drag the blocks of code to create their own games. They can also add their own artwork and share games so that their friends can play them too. Hopscotch is coding for a purpose. 5. Daisy the Dinosaur App: This is a great app to start with when working with young kids. Drag and drop blocks of code to make Daisy the Dinosaur do different things. Can you make her dance? Jump? Roll? Hop? 6. Scratch Jr App: My students love this app. The interface is based on the MIT designed Scratch program, but easier for younger kids. However, it is a powerful tool for teaching kids to code while they create a story. Students have many choices through the block coding that allows them to choose images, characters, movement, and scenes to tell a story. 7. Cargo-Bot App: You must teach the robot (program it) how to move the crates. It is not as simple as it sounds! 8. Tynker App or Tynker Online: Tynker is a drag and drop block programming system that will help students to learn coding in virtual worlds. Students can use the built in characters and graphics to create their own games. In addition this app can be used to program drones, robots such as sphero, and Phillips lights. 9. Stencyl: Do you have advanced students that have mastered the basics of drag and drop coding apps and are ready for the next level? Stencyl uses the same drag and drop format but provides an open system where students can build their own games and publish them to the web (flash), to Android (Google Play Store), or to IOS (Apple Store). There is even an educator's version if you are interested in offering game design as a club. Let's get those elementary students starting to code! 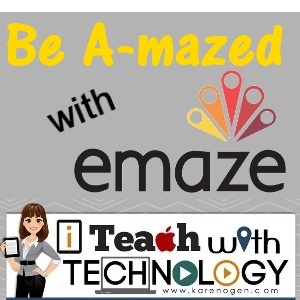 You Will Be A-mazed with Emaze! Emaze.com is an amazing, new publishing tool that you need to try. I call it a cross between PowerPoint and Prezi. With some great looking templates and cloud based storage, you will be ready to wow your audience wherever you are presenting! There are plenty of education themed templates to choose from plus many other topics. Users can add a variety of media to the templates including text, images, charts/graphs, videos, and links to web resources. You can also import existing PowerPoints and make them emazing. Teacher and student accounts are available. Note, when using a free account, you cannot make your presentations private, so take his into consideration for privacy and safety with students. Are you thinking about using a breakout/escape room experience to engage your students in collaborative problem solving and critical thinking? I just came across an online activity called Science Detectives, created by the Arizona Science Education Collaborative, that walks students through several escape scenarios and teaches students how to think critically. The activity also highlights the scientific process and thinking involved as students figure out problems. This online activity is a great way to get students prepared for a live breakout room experience or to practice critical thinking skills if you do not have the physical space to set up a breakout activity. If you haven't heard of a breakout/escape room experience yet, you should check out http://www.breakoutedu.com to see how educators are making physical breakout rooms based on curricular topics for their students. 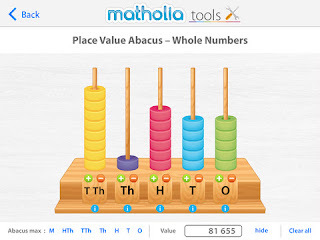 Matholia Tools is a new app full of virtual math manipulatives for grades K-6. This app has everything your students will need to understand mathematical concepts through virtual, hands-on manipulation. 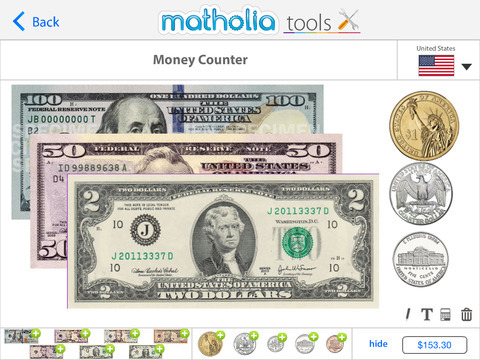 Tools include number lines, place value charts, spinners and number generators, money from 10 different countries, counters and ten frames, 100 sqaures, clocks, measurement tools, fraction discs, fraction bars, and other models, angle measurements, 3D shapes, tangrams, and so much more! 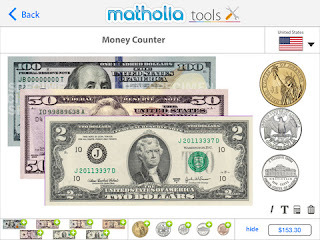 If you teach math, you have to check out this app!